In the panorama of weird statements made by center-right last-hour supporters, Maria Stella Gelmini, the Minister of Public Instruction, stands out. She said that Obama is proposing a series of reforms for American schools similar to the ones she proposed and that are now stirring up so many protests in the Italian cities. She seems to ignore the fact that, in its program, the American Democratic Party allocated 14 million dollars for schools. 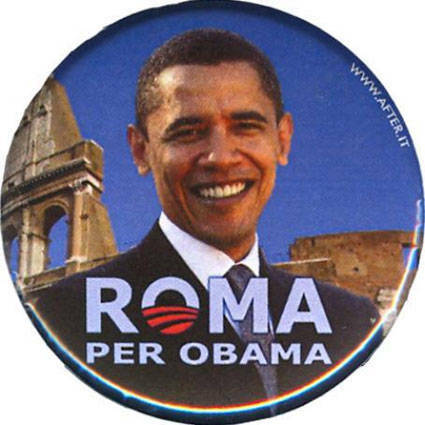 Renata Polverini, the leader of the UGL, the right-wing labor union, stated that she likes Obama because “he can change the international scene and also because he is black.” A group of center-right parliamentary members, such as Chiara Moroni, Lucio Malan, Marcello De Angelis, even created a website supporting him, www.pdlperobama.com.